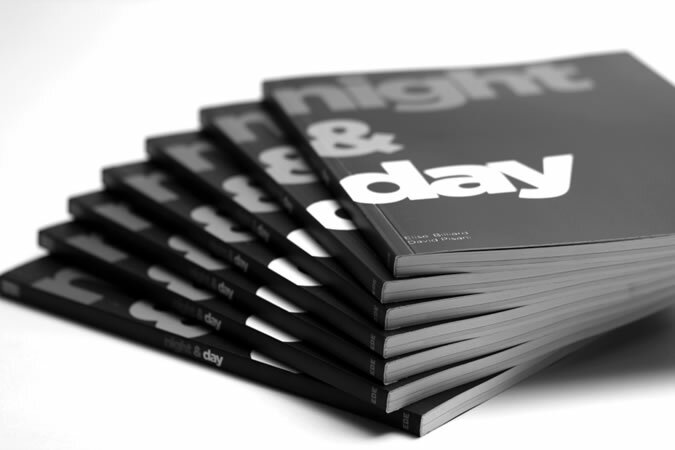 After eighteen months of photography in Paceville the NIGHT&DAY project reaches its culmination with a book launch and exhibition on Thursday 29th May at SO Galerie in Iklin. This is David Pisani and Elise Billiard's unique perspective on what is possibly Malta's most notorious and hotly debated urban space. The project also includes two music tracks (Day and Night) mixed by French DJ Antoine Coignard aka DJ Coinx who mixed street urban sounds in Paceville to create moody urban soundscapes of Paceville. Night & Day was part financed by the Malta Arts Fund and is co sponsored by SO Galerie and Computime Ltd.
NIGHT & DAY is a collaborative photographic project between David Pisani, a professional photographer and Elise Billiard, an urban anthropologist and photographer, working together to document Paceville’s dual existence by day and by night. The project also includes the production of a soundscape of the town, an 'Urban mix' by French DJ Antoine Coignard. Conceived as a tranquil coastal retreat and quaintly named 'Paceville' this urban idyll was to meet a very different fate as the forces of commerce and desire took hold of the town, turning it almost overnight into a hot-spot of neon glowing nightlife. Despite the onslaught of revelers and punters of the night Paceville wakes up every morning with a curious yawn, tacitly going about its business as if oblivious of what had happened the night before... and living its tranquil existence until night falls again and the music is turned up loud. Photographing independently and each in their own distinctive style and modus operandi David Pisani and Elise Billiard have produced a photographic essay that speaks of a place and its 'spirit'; not merely a factual documentation of what’s happening at any given time. Dr. ELISE BILLIARD holds a PH.D. in Anthropology and is currently a visiting lecturer on Material Culture and Urban Anthropology at the University of Malta (Dept. of Anthropology). But this is just a cover, in reality she is a professional tourist. Some years ago she attended the Ecole des Beaux Arts in Marseille (France) and pretended to be an artist by exhibiting in several European countries. DAVID PISANI is a professional photographer specializing in Architecture and Design. He is the author of an extensive personal photographic essay on Valletta entitled 'Vanishing Valletta' which in 2000 was included in the permanent collections of the Bibliothèque Nationale de France. Vanishing Valletta was also published as a monograph in 2007. He has also produced a photographic essay on the city of Dubai entitled 'Future City' which was commissioned by Emirates Airlines for their corporate art collection. His most recent work includes two photographic essays on Cyprus and Kyoto, in both cases documenting the urban landscape in all its complex reality. He is a fanatical darkroom printer with more than 25 years experience in commercial and fine art printing.